On Tuesday, September, 15, 2015, I caught the current exhibition at The Kimbell—just in time, too! The current exhibition Boticelli to Braque: Masterpieces from the National Galleries of Scotland is scheduled to end on the 20th of September, 2015. The collection offers a small variety of paintings from Scotland’s three great national galleries and ranges from different periods, styles, and countries. My favorite being Lady Agnew of Lochnaw by John Singer Sargent which portrays a beautiful Scottish socialite known for throwing extravagant parties. In the painting she gives an intense intimate gaze, yet has a relaxed body posture of almost complete surrender. I love the contrast of her dark hair, porcelain skin, and the bluish-gray oriental silk that hangs in the background. I probably spent the most time admiring this painting. 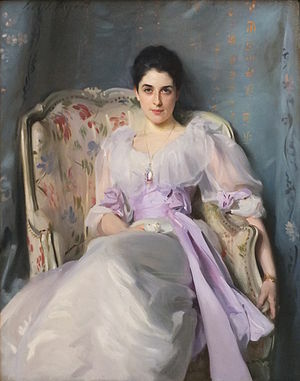 When Lady Agnew fell into financial troubles she tried selling the painting by Sargent. However, nobody was interested in acquiring art from a living artist at the time. Once Sargent passed away the painting was acquired. 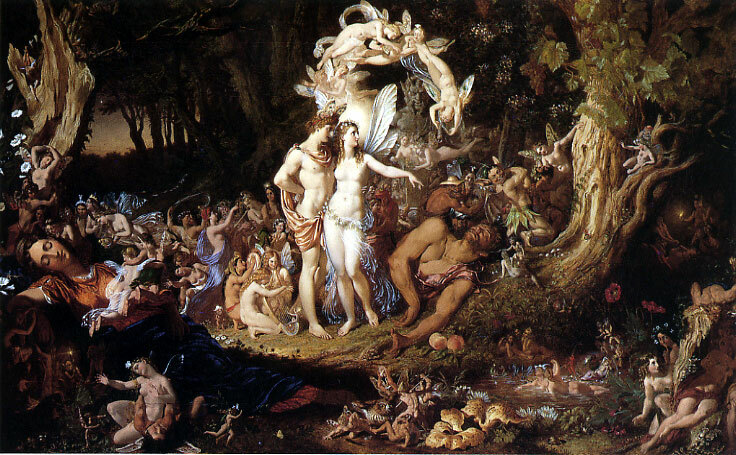 The Reconciliation of Oberon and Titania by Sir Joseph Noel Paton was a painting based on a scene from Shakespeare’s A Midsummer Night’s Dream. There is so much detail in this painting. With the amount of people that were trying to catch the exhibition before its end, it was impossible to explore the painting in its entirety. Details are painted in every corner of the painting, and close to the center is a gray—almost hidden—sinister looking creature whose gaze is fixed straight ahead on the viewe r.
Another great painting was Poplars on the Epte by Claude Monet. 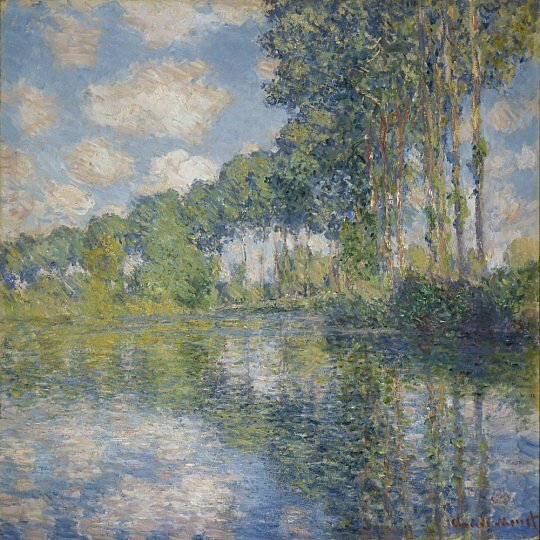 It portrays a row of tall trees (poplar trees) on a river bank with a mostly cloudy sky as the background. Beautiful. Serene. Peaceful. A perfect transition between the earlier period paintings in the collection. Boticelli to Braque: Masterpieces from the National Galleries of Scotland ends soon—real soon! If you haven’t had the chance to, be sure to catch this exhibition before its end on Sunday, September 20, 2015.